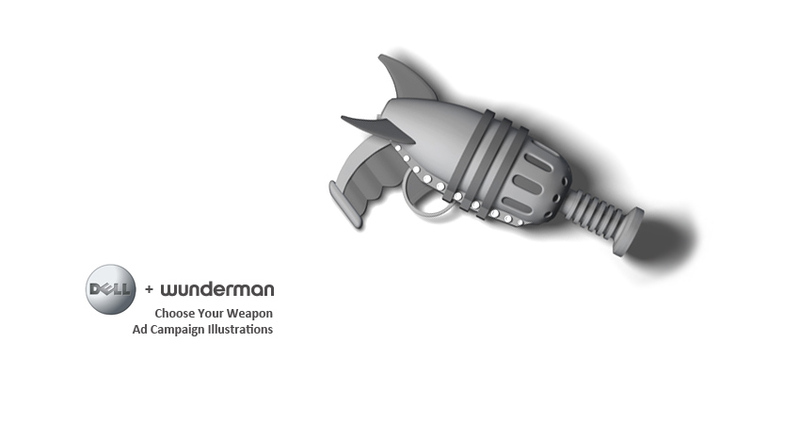 Print quality 3d illustrations contracted by the Wunderman advertising agency. 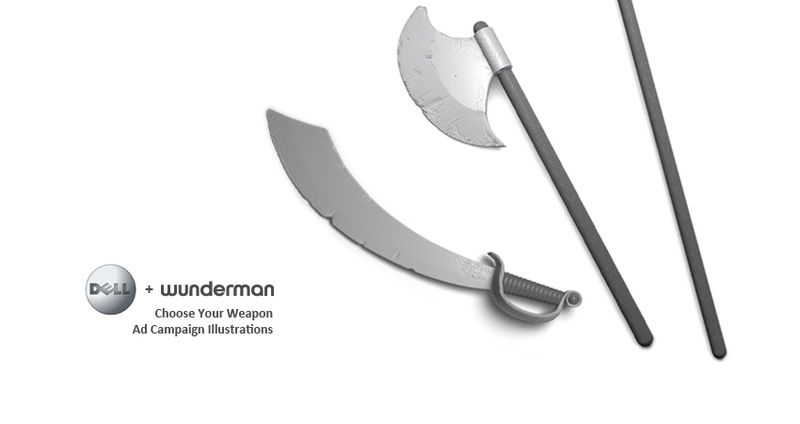 I worked with my good friend Brent Lewis to design, model, texture and render the 14 custom weapon illustrations. 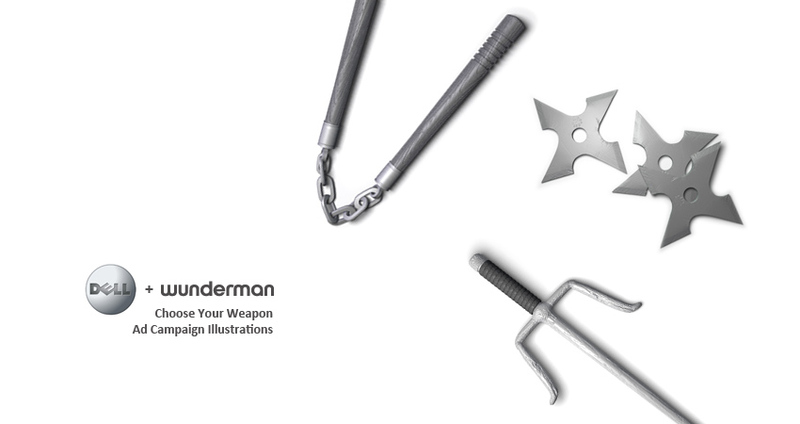 The "Choose Your Weapon" campaign was for Dell, and was designed to market high-end workstations to gamers, digital artists and programmers.